Matt Cadenelli plays and sings around Portland as part of an extended circle of largely Americana-based musicians, many of whom have been friends for years, even decades. But with all the gigging about in clubs, theaters and festivals, they rarely find quality time together or get to mingle with loyal fans beyond impromptu powwows during set breaks or crossing paths while loading equipment in or out. The solution? Create a manageably sized festival and invite all of the above for an early summer weekend of music, camping and camaraderie. 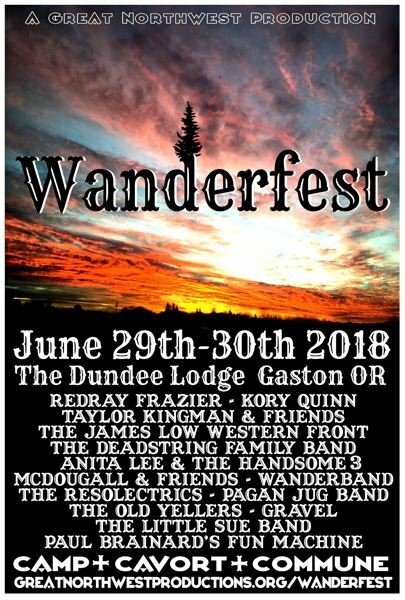 Now in its second year, Wanderfest — founded by Cadenelli and musical cohort Kris Stuart — will feature more than a dozen Portland-based musical acts Friday-Saturday, June 29-30, at The Dundee Lodge in Gaston, southwest of Hillsboro. Some of the acts include Redray Frazier, Kory Quinn, The Little Sue Band, Taylor Kingman & Friends, The James Low Western Front, Anita Lee & The Handsome 3, The Resolectrics, Gravel, Pagan Jug Band, and The Old Yellers. With Stuart's input, Cadenelli took time last week to discuss their creation — what they hope will become a regular summer event — with the Tribune. Tribune: How do you describe your role in Wanderfest and as a working musician? Cadenelli: I am the co-founder of Wanderfest with Kris Stuart. … We are full time musicians and have lived in Portland since 1996, minus a couple here and there. Tribune: The festival is in its second year. How did it come together? Cadenelli: Last year Kris and I wanted to do an event at The Birk (music venue) in Birkenfeld (near Vernonia) and so we figured between all of the bands we played in and a few other friends bands, we could have an actual mini-festival pretty easily. Turns out it's not easy, but it was fulfilling. Tribune: What are you guys trying to deliver — musically, socially and experientially? Cadenelli: We know that the Pacific Northwest has some of the world's finest craftsmen and women. The beer, wine, coffee, food and music are the best that you can find anywhere. We really want to promote the fine makers and all that the area has to offer. … We have the most access and experience with the music part of the equation, so that is the focus of the festival. The fact that we can accomplish this by throwing an epic party in the woods is one of the perks of a life of making music. Tribune: How will this year at Dundee Lodge be different? Cadenelli: The first Wanderfest at The Birk was a great success. We received a ton of positive feedback from many people who attended, and also feedback about how we could make it better. This year, we'll have a better camping area with proper access to shade trees, more porta-potties, and also a short walk to swimming at (Henry) Hagg Lake. Tribune: How do you go about curating the bands/artists? Are you good friends with most of them? 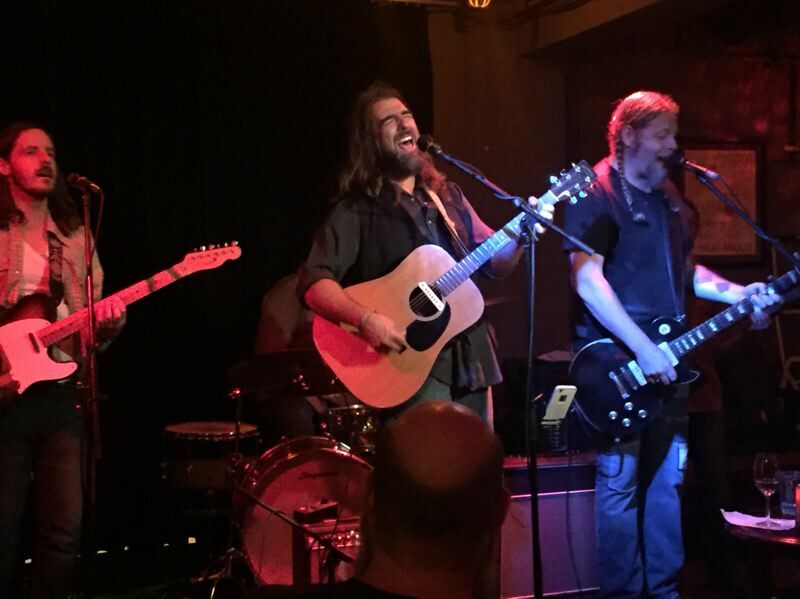 Cadenelli: The artists are a mix of bands we play in, bands we love, and in general, a selection of bands who have been a part of the (Northeast Portland music venue) Laurelthirst Public House's music scene. We think there's so much incredible talent in our own scene, and hopefully when friends tell friends, and those friends tell friends, little by little these great artists may be recognized on a wider scale. Unfortunately, many of the local music festivals don't draw extensively from local bands ... something that's not necessarily bad, but it keeps a lot of local musicians from being seen by people who may go to festivals, but not bars or smaller music venues ... like many families. Tribune: Who should come to Wanderfest 2018? 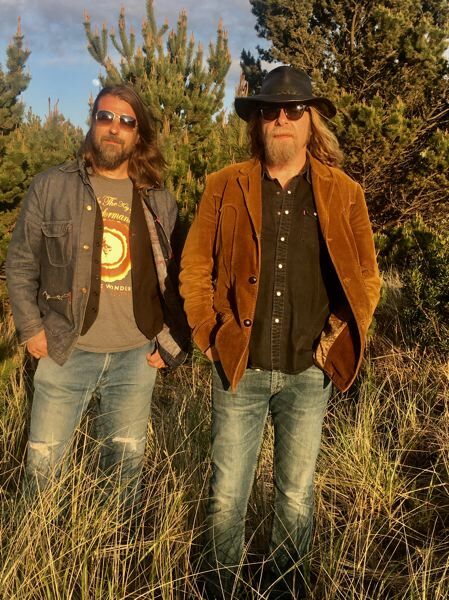 Cadenelli: For people who enjoy Americana, roots rock and roll, alt-country, folk-rock, and funky soul, you'll be very happy. Families are welcome, and kids 12 and under get in free. Tribune: What artists/bands/combinations are you looking forward to hearing or playing with? Cadenelli: The truth is if we weren't over the moon about any of the bands, we wouldn't have them playing. That said, Taylor Kingman always brings his full soul to every show. The debut of Wanderband is exciting, too, so from the first band to the last. Tribune: Does the joy of playing on stage compensate for the hassles and stress of planning an event? Cadenelli: The best part is to give an excellent situation for all these musicians to be the very best they can be. That and to hear the stories from attendees as we run into them throughout the year as they tell us how they have been affected by the experience last year. Tribune: What personal/professional skill set do you bring to this? Is it more challenging than you imagined? Cadenelli: Having played at many small festivals, and having run a small food business that worked festivals, I saw a lot of what went on behind the scenes. It's very tedious and challenging, for sure. Tribune: Do you concern yourself with competing events during a busy Oregon summer? Cadenelli: We're very concerned with (Grateful Dead spinoff) Dead & Co. (in Eugene), as well as all of the things that pop up in the months after we announce our little shindig. We hope that folks on the fence about paying all of that money to go to Eugene will decide to come and be a part of their own extended community and support local art that seriously needs nurturing. Tribune: At what point will you be able to start enjoying yourself when the weekend arrives? Cadenelli: I really did enjoy myself all of last year's festival, and so I think the same will happen this year as soon as I get out there and get everything set up properly. Taking place June 29-30 at Dundee Lodge, 50845 S.W. Dundee Road in Gaston, Wanderfest is an Americana and roots-rock-oriented festival featuring more than a dozen Portland bands and performers, along with camping, food and beverages. Tickets are $75 for the weekend, $40 for Friday, $55 for Saturday and free for children 12 and younger. For more, see the event page on Facebook.com.